Indians are fun lovers and they love playing different kinds of Rummy games on major occasions. Before advent of Rummy online, people would assemble in rooms in marriage halls during wedding ceremonies and spend the whole night playing card games. A small section would go in for Andhar-Bahar but majority loved playing Rummy as it involved skill and could bring in competitive spirit. Many elders still remember with passion “those days” of raking in moolah at functions and making those events memorable ones. They are right as they recall the events even now after a few decades. 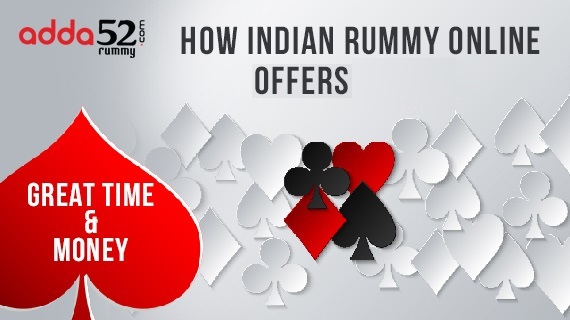 Indian Rummy Online is one of the best card game variants. It helps players in socializing and interacting with others. 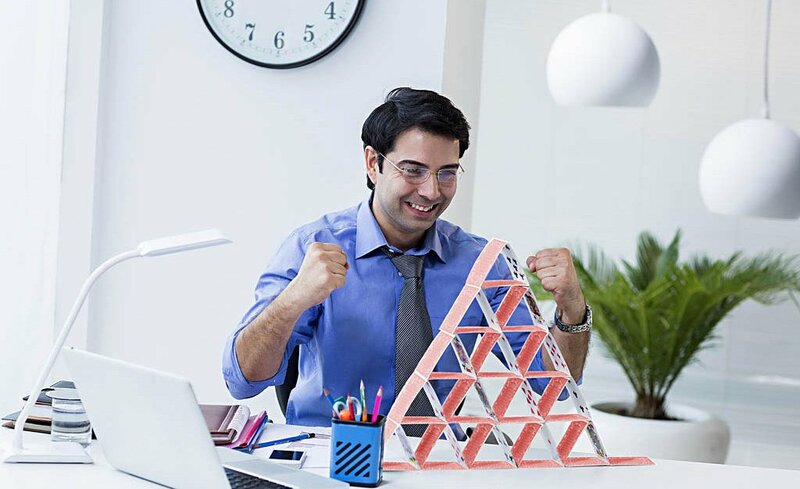 The game helps in killing boredom and also tests the skills of the players. Many play it for fun. Techies and those involved in high pressure jobs indulge in Indian Rummy as it acts as a stress-buster. For many high-profile society women, Indian Rummy is a way to make friends and spend time meaningfully. Many have formed their own groups and technology has made it possible and feasible. Now, they can play sitting at home or office without even going to their clubs. When players feel like making money, they join the online tournaments and walk away with some bucks. 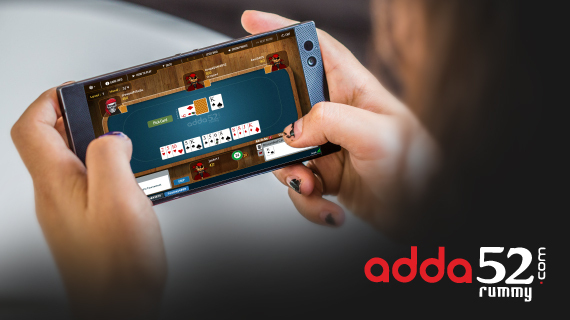 The best and safe site to play is adda52 rummy as it has a proven record. Adda52 rummy brooks no cheating and manipulations. Cheaters are barred. 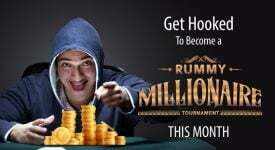 With Rummy online becoming popular, scenario has changed but the fun element remains the same or probably improved. Players with better skills are getting into the game. This makes opponents to raise the standard of their game to remain in contention. Otherwise, they will lose out to those who have honed their skills and mastered the game. 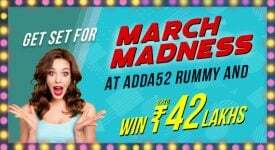 In online version, more so on adda52 rummy, the player will have to be quick as opponents are likely to perform better and walk away with prize pool money. Cards have been replaced by computers, tablets and smartphones and online transactions have made way for currency notes. But they have not robbed the real fun from playing Indian rummy games. 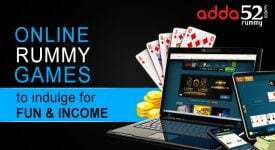 This is most relevant for rummy online as it involves skill and keen observation as you need to keep an eye on your opponents to form the valid runs. That does not happen by luck. It can be achieved only through proper calculations and application of mind. Indian Rummy is a draw-and-discard game and each player picks a card from the open pile or the closed deck upon his/her turn and discards a card to the open pile. Joker cards come into play in Indian Rummy. They come in handy as they serve as substitutes for any card to form combinations. Each card has specific points. Number cards carry points which are equal to their face value. Face cards, namely Queens, Jacks, Aces and Kings hold 10 points each. Jokers are worth zero points. As players meld their cards, their point score reduces. First of all the player who achieves zero points, wins the game. 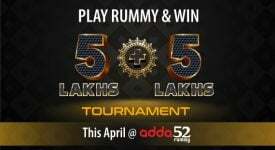 So, if you are fascinated by Indian rummy online games, logon to adda52 rummy and start playing now!